Mosquitoes are a perennial problem, but it becomes especially acute during the warm summer months. What an unfortunate coincidence that this happens just when everything else is perfect for outdoor life. The buzz and bite of mosquitoes can spoil an outdoor party and ruin a family gathering out in the garden or patio. Of late, they have become more than a nuisance, what with the diseases–some of them quite debilitating and deadly–spread by these pesky insects. Vector-borne diseases transmitted by mosquitoes such as malaria and dengue have always been a scourge of the tropics, but they are frequently appearing in many parts of the United States. A more serious problem is the West Nile virus encephalitis that has attained a native status in the country with epidemics reported with increasing regularity. The Zika virus that has spread to many South and Central American countries, including Mexico, is the latest threat. Because of this, need to be vigilant than ever to avoid bitten by them. Since insecticidal sprays and other mosquito eradication measures have been unsuccessful in getting rid of the mosquito menace, our best bet is to keep them away with mosquito repellents. Mosquitoes are thought to be attracted to us by certain substances in our sweat as well as the carbon dioxide released in our breath and through the skin. The olfactory sensors of the insect pick up these cues from far away and swarm to us for a free meal. The female mosquitoes need a dose of blood to be able to reproduce, so every time they get a drink of blood, it helps increase their population. That’s one more reason to avoid getting bitten. Blocking the scent sensors of mosquitoes is one way to keep them away from us. Commercial products containing DEET do this more or less effectively. Although it may cause allergic reactions in some people, it is generally considered safe for use even on children. However, it is no secret that this chemical compound is toxic to us even when immediate reactions do not occur. It gets easily absorbed into the body, getting accumulated in tissues, doing long-term damage. A safer alternative would be essential oils that can have a similar effect on the smell sensors of mosquitoes. Many aromatic essential oils have insect–repelling property, particularly those containing volatile substances like linalool, thujone, geraniol, citronellal, citronellol, limonene, pinene and eucalyptol. They have been found to be effective in keeping mosquitoes at bay for a short period of 2-4 hours because of their high volatility. Repeat applications may be necessary, but essential oils, especially the ones derived from culinary herbs, may be safer than other chemical deterrents. Mixing them with non-volatile agents like soybean oil or witch hazel extract can help extend their action. This essential oil extracted from the leaves and bark of the lemon eucalyptus tree Corymbia citriodora consists of nearly 80% citronellal in addition to appreciable amounts of eucalyptol, linalool and limonene. Hanging branches of eucalyptus at doors and windows and burning the leaves and wood in the evenings were traditional ways to repel mosquitoes in many parts of the world. The commercial mosquito repellent p-menthane-3,8-diol, commonly known as (PMD), considered a safer alternative to DEET, is based on lemon eucalyptus oil. Extracted from the culinary herb Thymus vulgaris, it contains, in addition to Thymol, insect repellant agents Thujone, Pinene, and Linalool. The oil extracted from the aromatic leaves and stems of Pelargonium odoratissimum contains Linalool, Limonene, Citronellol and Alpha-pinene, apart from Geraniol which has proven mosquito repellent action. Obtained from lavender blooms, this sweet-smelling essential oil gives instant relief from mosquito bites on spot application, but it is also effective in warding off these insects. 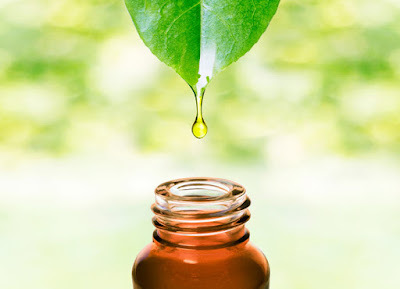 Since it is one of the most popular and safest of essential oils, the mosquito repellant property of this soothing oil can be put to good use at bedtime, especially for kids, this sweet-smelling essential oil gives instant relief from mosquito bites on spot application, but it is also effective in warding off these insects. Since it is one of the most popular and safest of essential oils, the mosquito repellant property of this soothing oil can be put to good use at bedtime, especially for kids. Of the different essential oils derived from aromatic mint family plants, catnip essential oil derived from Nepeta cataria has been found to be most effective against mosquitoes. Catnip has been historically used for the purpose by many tribal communities who just rubbed the leaves on the skin before hunting trips. It is extracted from several types of lemongrass Cymbopogon spp., and is commonly used in insect repellant candles and ointments. It is found to be particularly effective against Aedes aegypti mosquitoes that transmit yellow fever as well as Dengue and Zika viruses. Growing citronella around your garden is also a good way to repel mosquitoes. Distilled from the wood of the cedar tree, this oil is used as an insect repellent. It has been found to be very effective against malarial mosquitoes. The culinary herb basil is often cultivated close to homes to repel bloodsucking insects, including mosquitoes. The oil extracted from the leaves can be used in mosquito repellent ointments and sprays. It has been found that a combination of essential oils works better at repelling mosquitoes than individual oils. That could be because the different volatile agents work on the scent receptors of mosquitoes in different ways. Also, different types of mosquitoes may be sensitive to specific substances. For instance, a combination of geranium oil and vanilla extract has been found to offer up to 7 hours of protection against the Aedes mosquitoes that transmit dengue. On the other hand, mint-family essential oils and thyme oil are better against Anopheles and Culex mosquitoes that spread malaria and filarial disease. Mixing a non-volatile oil with the essential oil help prolong their insect-repellent effect. Soybean oil and coconut oil seem to have a certain amount of insect-repellant property of their own, so either one of them can be used as the carrier oils for the essential oil blend. Candles – Mosquito repellant candles containing citronella or geraniol are widely used for repelling mosquitoes in outdoor settings. Diffuser – Diffusers help distribute the volatile oils in the air at a steady rate. Use a combination of mosquito repellent essential oils in the diffuser for use in the patio or indoors. Mosquito repellent sprays – They come handy when you need protection from mosquitoes outdoors. You can mix a number of mosquito repellent herbs or essential oils in plain water, or in vodka, witch hazel or lavender water for extra effect. Mix ¼ cup boiling water with ¼ cup vodka and let it cool. Pour it into a glass spritzing bottle and add 5 drops each of lemon eucalyptus oil, cedarwood oil, and catnip oil. Shake well before using the spray. Skin ointments – Mosquito repellant skin ointments offer direct protection where it is most needed. It can keep you safe from mosquito bites as you step out of the house. You should make sure that you are not allergic to any constituent of the ointment before applying them. Melt ¼ cup of beeswax pellets in a double boiler and add ¼ cup of coconut oil. Take off the heat and allow to cool until a film forms on top. Whip in 5 drops each of lavender, thyme, basil, and citronella oils until the mixture becomes light and fluffy. Spread a thin coating on exposed skin to prevent mosquito bites.